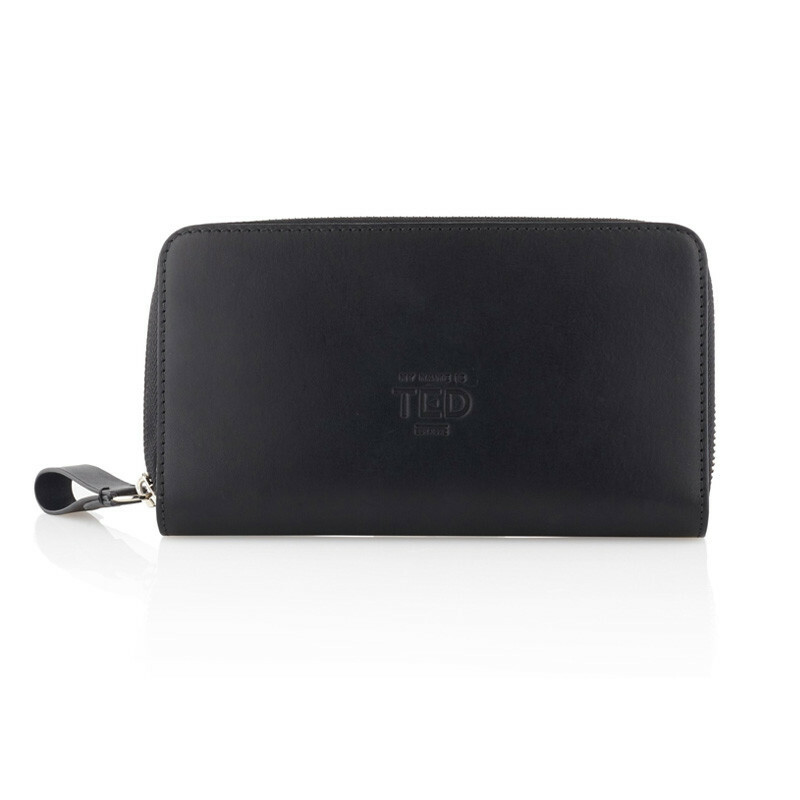 Carry your notes, coins, phone and extra battery in our luxury compact Purse! Hand-crafted from 100% Full Grain Italian Leather. 12 Credit Card slots. Phone pocket with 2600 mAh Power-Bank neatly included. Available in Tuscan Tan with coloured or tone on tone strap and zip puller, Chocolate Brown and Black with coloured or tone on tone strap and zip puller. 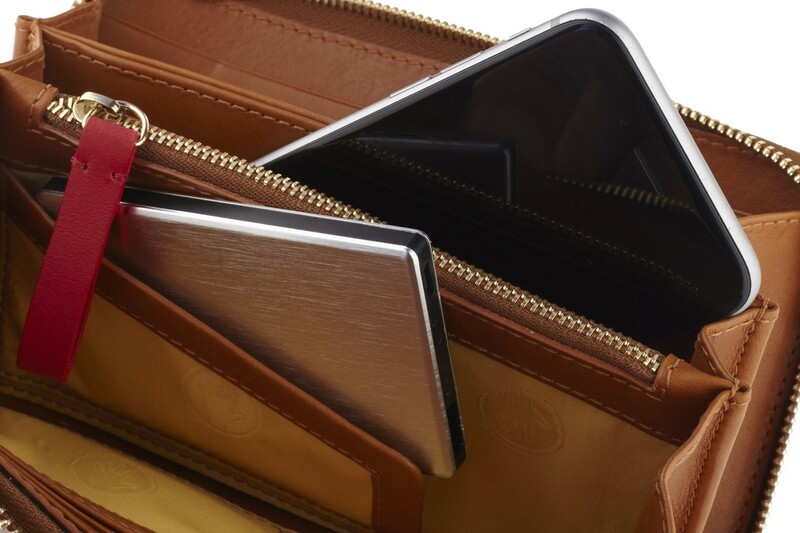 Our compact Smartphone Charging Purse is handcrafted using the finest Italian leather, vegetable tanned in Tuscany. 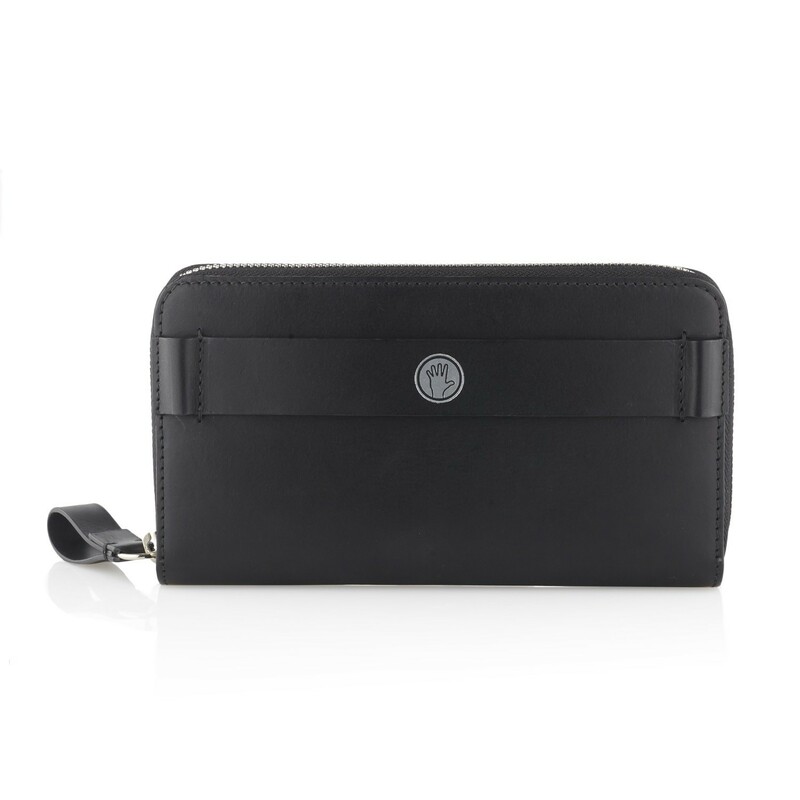 Its compact design fits comfortably in our cross body messenger bag. 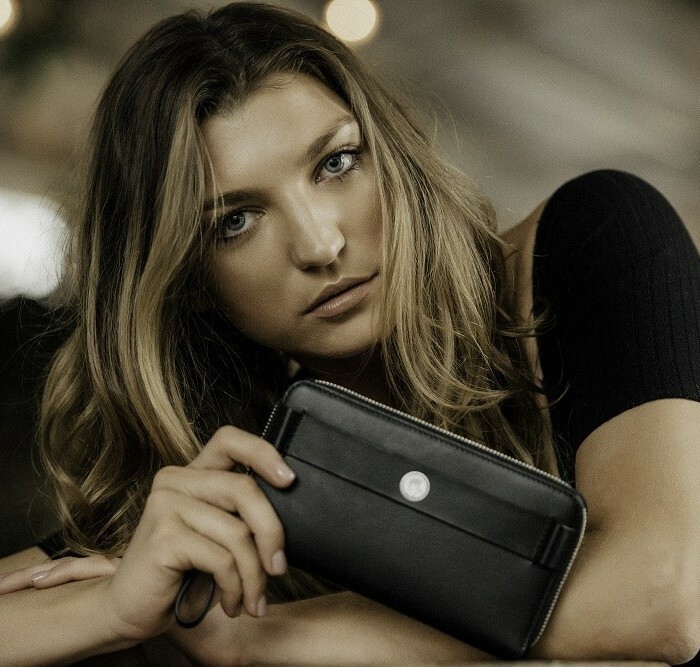 It has 12 credit card slots, a zipped coin pocket, fits lots of notes and includes a pouch for your smartphone with our 2500 mAh Power -Bank to charge your device on the move. The interior features our personalised mustard gold lining with leather trim. We use the highest quality YKK zips and personalised zip puller. 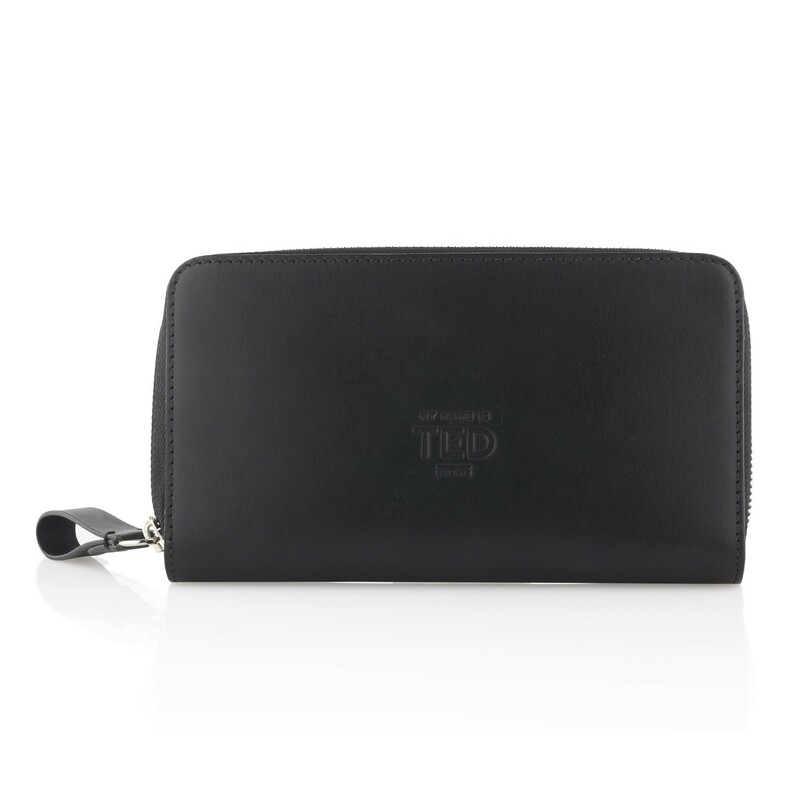 The exterior features a personalised strap to hold the purse and your belongings comfortably. 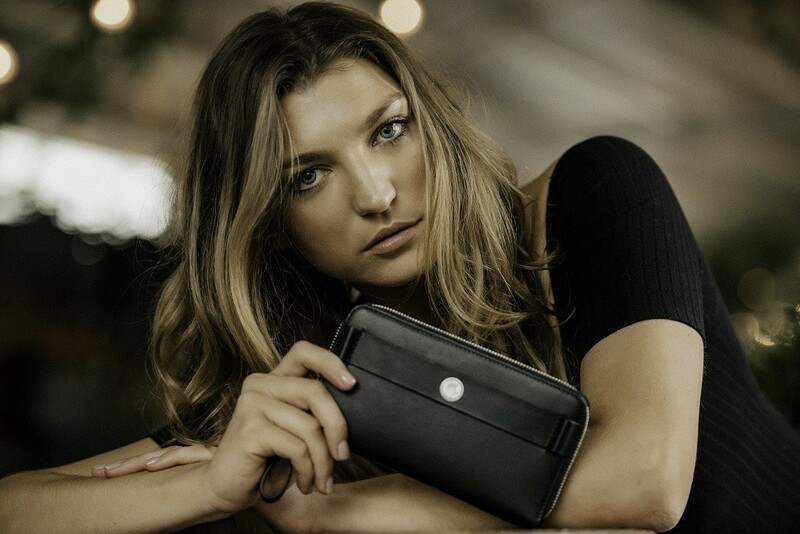 Smartphone Charging purse is stylish & practical. Never run out of power with our 2500 mAh removable Power Bank with integrated charging cable for iOS, Android and micro USB devices. Our Smartphone Charging Purse is Hand-crafted in Spain with the closest attention to detail, for every single stitch. 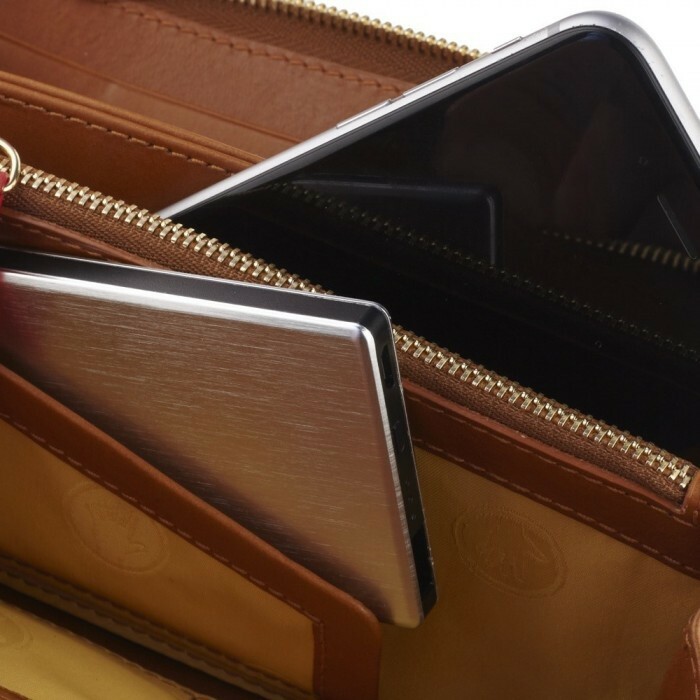 Our aim was to preserve the traditional design values of our purse whilst introducing Tech features for ultimate practicality.